Let’s face it, all of us Mac users may be quite happy with the way macOS works, and the honestly very high level of performance a Mac affords us; but, even people like me who don’t really play a lot of games do get FOMO when things like PUBG and Overwatch happen. There’s no way my 2017 13-inch MacBook Pro can handle PUBG. Fortunately for me, I’m more of a Counter-Strike guy, and even Rocket League runs just fine so I can switch games if CS: GO gets a tad boring. 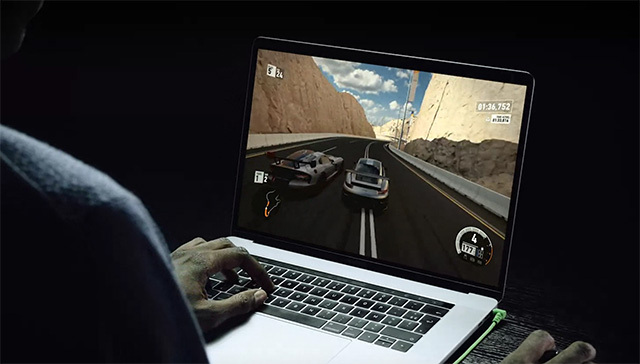 While services like Nvidia GeForce NOW do offer something that will let you run high-end games on your Mac, they are a tad limited. That’s where ‘Shadow PC’ comes in. They offer a full-fledged cloud-based PC to you that can run Windows 10 on your Mac side by side, and let you install any Windows games or apps that you want. According to Shadow PC, the configuration of computers they’re offering means you’ll be getting a $2000 PC at your disposal to play games on, run editing software and anything else you want. Shadow PC isn’t just a gaming service, these guys want to completely replace your desktop PC with something you can run straight on your Mac. The company has launched its service in California and gave a demo of what it can do to some people from The Next Web. According to what Tristan Greene from TNW has written, the Shadow PC service is quite amazing. You can run games like Overwatch on your Mac, obviously, but you can also switch to a tablet or a smartphone with a 4G connection, or a smart TV with WiFi. It’s ridiculous what Shadow PC has done here, and while the service is currently only available to people in France, and in California (in the US), the company has said that it plans to roll out its services across the US before this summer end. Just imagine, Overwatch running on your smartphone! Running high-end PC games on a smartphone is in itself enough to convince me to spend $35/month on the Shadow PC service (if only it was available in India). The service is priced at $35/month if you take a plan with at least a year’s commitment. Other options include $40/month for three months and $50/month without any commitment.